This homes compare to no other. 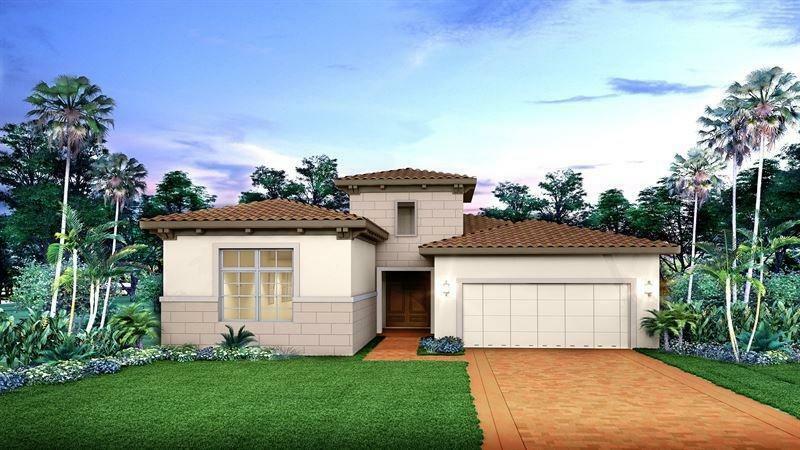 The Almeria with its 3+ bedrooms and 2.5 baths containing 2600 sq. ft. of air-conditioned space. The flexibility contained in this home allows it to evolve to over 3300 sq. ft and contain a partial 2nd floor if desired. The gourmet kitchen is replete with a full stainless steel appliance package and many optional kitchen layouts to truly inspire the chef in everyone. A split floor plan allows everyone their privacy and convenient access from each bedroom to an adjoining bath. The tandem 3rd car garage space can be converted into an optional master closet worthy of a home twice the price. © 2019 All rights reserved. All listings featuring the BMLS logo are provided by BeachesMLS Inc. This information is not verified for authenticity or accuracy and is not guaranteed. Copyright 2019 Beaches Multiple Listing Service, Inc. IDX information is provided exclusively for consumers' personal, non-commercial use and it may not be used for any purpose other than to identify prospective properties consumers may be interested in purchasing. Data last updated 2019-04-22T15:05:19.637.